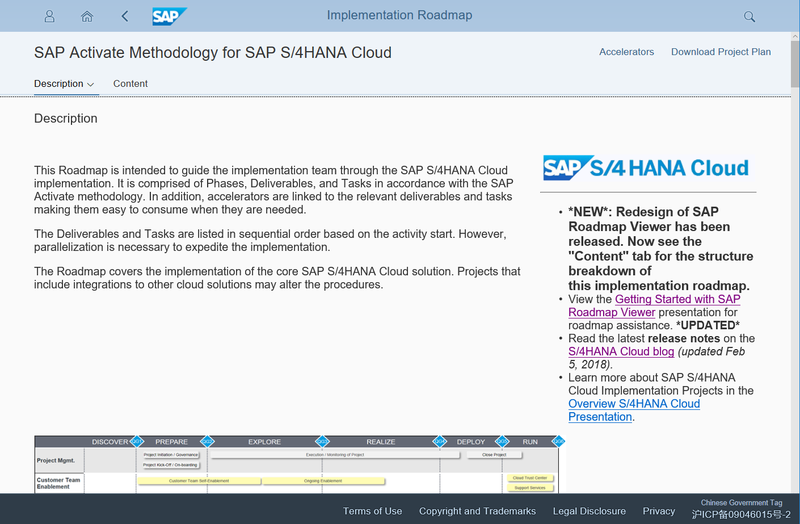 SAP Activate methodology offers a consistent approach for any deployment type of SAP S/4HANA or other solutions – cloud, on-premise, hybrid, or mobile. It is extremely scalable, becoming nimble for smaller engagements or more robust for larger projects. But how to access the methodology? 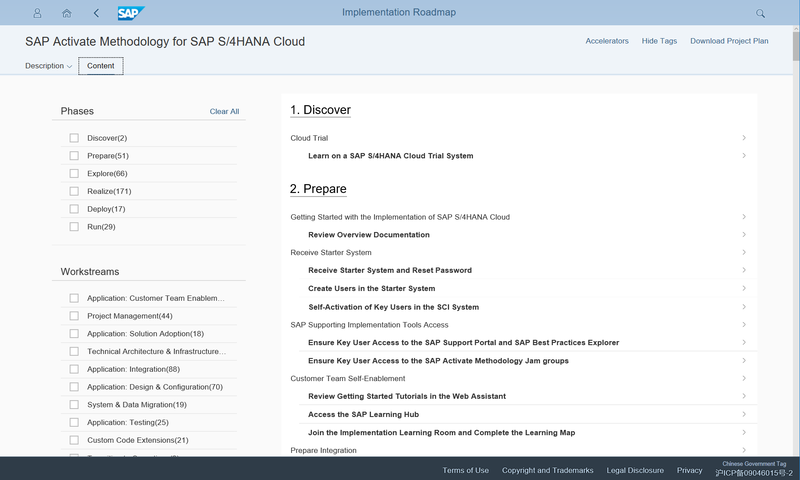 Via Roadmap Viewer (https://go.support.sap.com/roadmapviewer/), a cloud extension of SAP Solution Manager. We have just updated Roadmap Viewer to ease using the best practice methodologies even further. I am writing this blog today to highlight major changes of the new version. What happens if you open any of these road maps? And what has changed compared to the previous version? 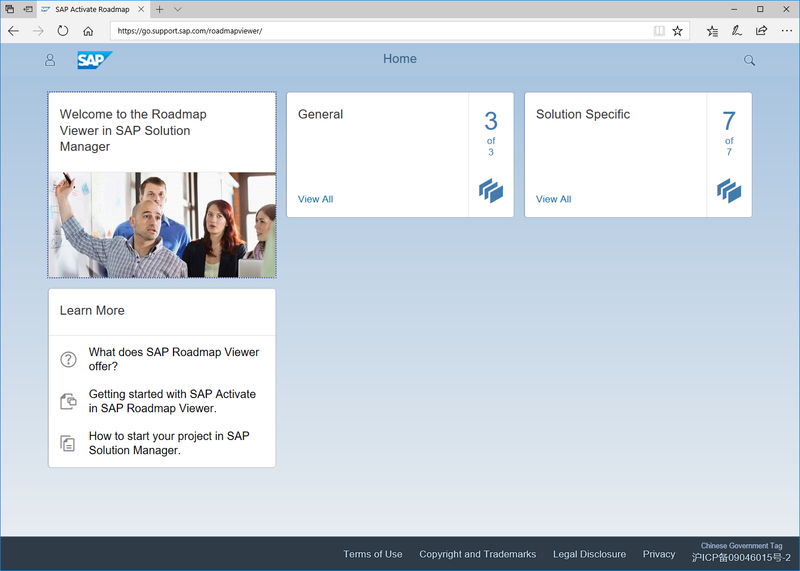 The new version of Roadmap Viewer offers a better separation between the high-level description of the road map and the content required for executing the project. If you just want to get an overview of the road map, you will find it on the Description tab of the road map home page (figure 2). It is not necessary anymore to browse through the entire roadmap to gain a brief description of the individual phases of the project. The Content tab (figure 3) provides the list of content elements used in the road map in right-hand pane. Some filtering features are visible in the left-hand pane. I will discuss the filtering later in this blog. If you do not want to use filtering but are interested in the entire content without focusing on specific areas, you can hide the left-hand pane by clicking on the “Hide Tags” button on the upper right of the screen. 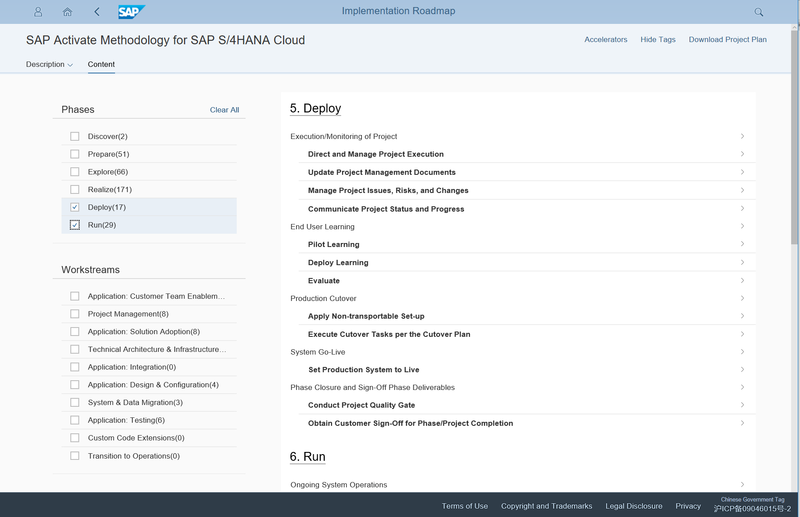 The content list displays all phases of the roadmap with assigned deliverables and tasks. When you click on an element in this list, the corresponding deliverable or task page provides an explanation of the corresponding element as well as links to related accelerators (figure 4). They provide additional best-practice information and ease executing the tasks. From a deliverable page you can drill further down directly to the corresponding tasks as well. How to navigate through all this content? You do not need to go back to the content list every time you want to explore another element. The buttons “ < ” and “ > “ at the upper right page section allow you to go to the previous or next element within the same phase or deliverable. And the App back button of the app, “ < “ next to the SAP icon in the top row, will bring you back to the previous level. But what about the filtering mentioned before? The purpose of this great new feature is to let you concentrate on those parts of the roadmap only that are relevant for your current activities. Let us assume you have finished the first phases of your project already. So, you need to focus on the Deploy and Run phase of the project only. By selecting these two phases in the left-hand filtering pane, the content list will shrink to display only content elements that have been tagged as being relevant for any of the selected phases (either Deploy OR Run in the example) (figure 5). Other filter groups are available as well. In the screenshot above (figure 5), you can see that you can also filter content belonging to specific work streams, like System & Data Migration or Application Testing. Different road maps use different filter groups and tags. So, just look into the roadmap relevant for you to investigate your filtering options. Even combining filters in different filter groups is possible. The selections in different groups are joined with a logical AND condition. Let us assume you add the work stream System & Data Migration to your previous selection of the phases Deploy and Run as filters in the example above. The you would see only content elements that are assigned to one of the two phases AND to this work stream. The new filter capabilities make it much easier finding information and tools relevant for you, even in larger road maps. 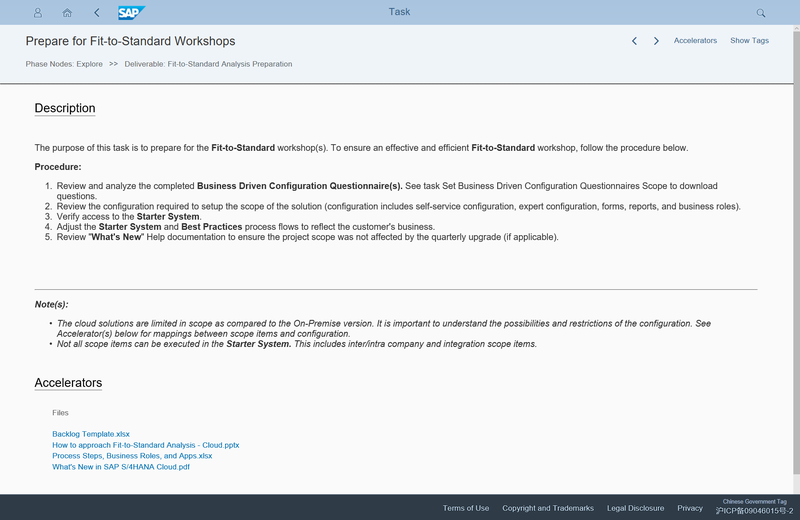 This adds additional value to the SAP Activate methodologies. And it allows us to merge existing related road maps without losing specifics of the different variants. I’m sure you will like the new version of Roadmap Viewer. And I hope it will turn out to be beneficial for running your projects in the future.